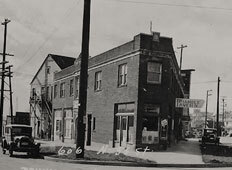 The Fremont Historical Society was formed in 2004 by a group of Fremont residents interested in sharing their knowledge and learning more about the neighborhood's history. Meetings are held monthly on the second Saturday from 10 a.m. to 11 a.m. Activities include research, planning and leading neighborhood tours; oral history interviews and presentations; and photo displays. There is currently not a membership fee to join FHS and membership is open to all ages, interest and skill levels.